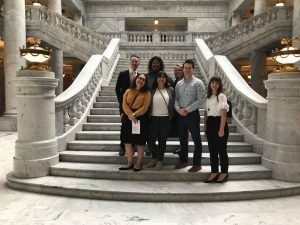 Students from eight universities in Utah visited the state capitol during the legislative session to lobby for campus safety by becoming carbon neutral. 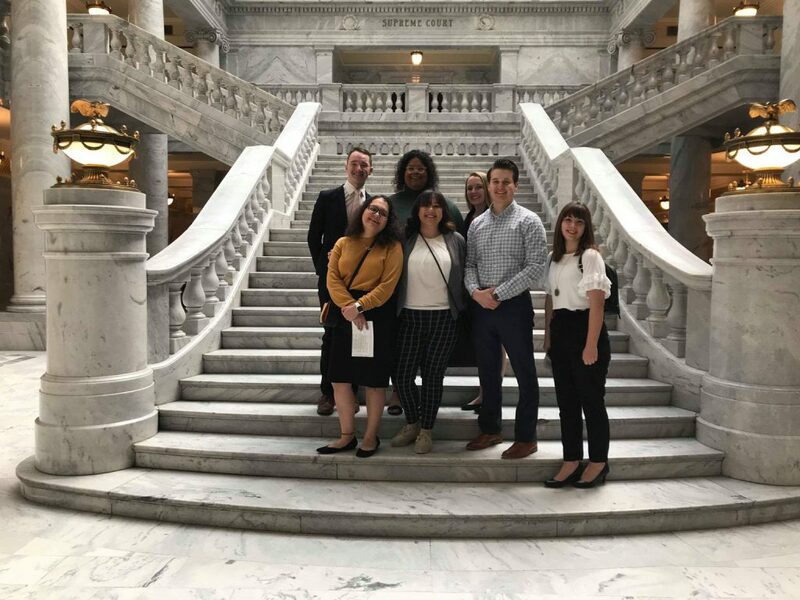 “Campus is our home and our home should be safe,” is the Utah Student Association’s vision statement for 2019. They plan to achieve this through three pillars of campus safety: physical, mental health along with sexual assault prevention. Carbon neutrality comes into play with physical and mental health as unhealthy air quality impacts both. USA’s campus safety action plan has three steps. First, create a conversation around climate change; second, start a culture of conservation and, third, begin at the local level. The group started this conversation, on the local level, by lobbying to its university’s regional state representatives and senators. Before the students lobbied, they heard from multiple people who were participating in the legislative session in one way or another. Utah State Senator Lyle Hillyard (R-Cache/Rich counties) spoke about the higher education subcommittee. Eight appropriation subcommittees make up the Utah Legislator; public education, higher education, natural resources, law enforcement, business, infrastructure, retirement and social services. Sen. Hillyard explained legislators only have 45 days to put together such an important budget and it can be tricky to get everyone on the same page. Neil Abercrombie is the director of government relations for Utah State University and spoke to students about the priorities in higher education. He said it is important to remember issues change, they can be the one who makes those changes happen. Abercrombie said he “thought it would be easy to be an advocate for higher education because who does not want our younger generation to be educated?” But what he found is that legislators were tired of keeping tuition low for “degrees to nowhere. Student Regent Jakell Larsen spoke to students about her role and how they can help her. Jakell is the student representative on the Utah Board of Regents. The Regents work on making higher education better. Jakell has to be an expert on tuition, cybersecurity, campus safety and more. Because of this job, she asked students to reach out with what they believe to be problems in higher education. She cannot be on every campus and see everything. Higher Education day ended for the USU Eastern students with an email from Hinkin’s intern apologizing if he seemed to rush the meeting. They still had a long drive to Price and lots of experience about government in hand.